Two splendid novels, both brilliantly written and researched to unimaginable depth, explain a very long silence from two of the very best fiction writers among us. The first of these arrived late last year with Hild, Nicola Griffith’s majestic, ferocious re-creation of the early Middle Ages and a young woman born to destiny in that era. 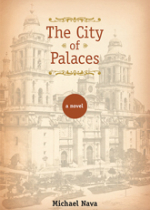 Now Michael Nava, described by the New York Times as “one of our best,” has returned to exceed all expectations with The City of Palaces. The story opens: “The first time Sarmiento saw the woman who would become his wife he thought she was a nun.” This would be Miguel Sarmiento, recently returned from self-imposed exile in Europe, handsome young physician to the idle rich women of Mexico City. The woman Sarmiento will marry is Alicia Gavilan, a daughter of one of the country’s great aristocratic families. The opening-line meeting occurs in a prison. He is there to retrieve his father, also a physician, under arrest for radical writings in opposition to the dictatorial regime of Porfirio Diaz, president of Mexico, a man Sarmiento’s father once ardently supported. Alicia is visiting female prisoners, one of the charitable activities she pursues over the strenuous objections of her family. The story begins with her imploring Sarmiento to assist in the birth of an inmate’s baby. Alicia and Sarmiento are scarred to the depths of their souls. She by a tragedy generated in the innocence of adolescence; he by the thoughtless and terrible deed that took him into exile. Alicia is also physically scarred by severe facial pitting from smallpox which has made her unmarriageable until this day when she meets this man. Theirs is an obstacle-strewn courtship, resolved when the incredulous Gavilan family finally accepts Sarmiento as a serious suitor, and when the two confess to each other their crushing secrets. The shared trauma of guilt becomes a bond with linkage beyond the two of them, extending to the choices they make—choices often fateful in the extreme—as they make a life, and a son, together. 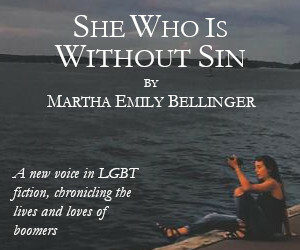 The son is Jose, a sensitive, imaginative child who is transparently gay from the moment he acquires an identity that connects to the females in his household. But Jose, whatever his predilections, is under the protection of the powerful Gavilan family with its tight connections to the Diaz government. Unlike Sarmiento’s brother, Jorge Luis, who is not so fortunate. When Sarmiento discovers the truth about him, when Luis’s exposure and arrest become imminent in the lethally homophobic culture, Sarmiento must make one of his many crucial decisions. As the story proceeds, it is taut throughout but spacious in the telling. We move vividly through the palaces of the indolent rich and among the powerful in the chambers of governance; we join the ranks of militant revolutionaries; we become immersed in the world of the uneducated and impoverished. It is in this latter world that Sarmiento and Alicia spend their days. Alicia arrives at the place where, as an act of conscience, she must commit high treason to smuggle Yaquis out of a country enmeshed in brutal racial hatred and nascent revolution. Sarmiento, on the other hand, joins the government in the belief he can make a meaningful difference by designing pragmatic changes to the infrastructure of a city literally poisoning its inhabitants. For two people who fall more deeply in love with each passing day, the two principal characters could not be more contradictory in their views of living in the world. Alicia, ever more enmeshed in the deprivation imposed on the people she seeks to help, turns trustingly, fervently to the God she worships. Sarmiento makes sense of the world only through the lens of an atheist, a view that strengthens during the span of events to which he bears witness. 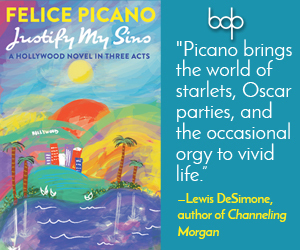 A highlight of this novel is that each of these points of view is accorded equal weight, equal deference, equal authenticity, and the reader shares the considerable solace Alicia and Sarmiento experience from their opposing convictions. We soon join the major point of view of young Jose. We feel his burgeoning love for a young piano teacher and his utter despair when Jose’s acutely perceptive grandmother suddenly maneuvers the male teacher out of the life of this child of the aristocracy. Through his eyes we view a world just beginning to emerge into the technology of the 20th century, exemplified in a captivating scene when Jose, accompanied by his grandmother, discovers the newly invented motion picture. But massive and onrushing historical events are about to engulf the Gavilan aristocrats, and will drastically and irrevocably change Jose’s placid, indulged life. The lives of Alicia and Sarmiento and Jose form the foreground of a much larger story: the battle for the soul of a nation descended from the great civilizations of the Aztecs, Mayans, Incas, Zapotecs. A nation mired for decades in corruption, fear and privation. Opposition to the Diaz dictatorship acquires impetus with the emergence of the idealistic Francisco Madero, and Sarmiento, falling under his spell, chooses to ally himself with this charismatic but fatally flawed rebel leader. Tumultuous events are set in motion in the lives of his family, mirroring the rising tumult in the country. The story expands, explodes, then widens further until it spills onto the shores of America. This will surely not be the only review to compare Michael Nava’s moving and deeply humane depiction of love during the time of the Mexican Revolution to Boris Pasternak’s Dr. Zhivago. There is the similar choice of a doctor and his family as focal point characters caught up in the inexorable sweep of historical events. The similar overthrow of a political system for the sake of an ideal doomed to fail. In Dr. Zhivago, Marxism becomes the failed ideal replacing the czars. In The City of Palaces, Francisco Madero soon gives way to a military dictatorship and ten more years of civil war. But this novel, the first of a planned trilogy, coming as it does at a time when we are emerging into a more pervasive awareness of Mexican presence and culture among us, is a magnificent contribution to American letters. The huge achievement of The City of Palaces—aside from its portrayal of the history and grandeur of Mexico and Mexico City, aside from a story of great beauty and profound humanity—is its powerful integration of a central historical event on our continent into our American consciousness. The City of Palaces is, indeed, a masterwork. Michael Nava will read from The City of Palaces at the Bureau of General Services—Queer Division on Tuesday, April 22, at 6:30 PM.